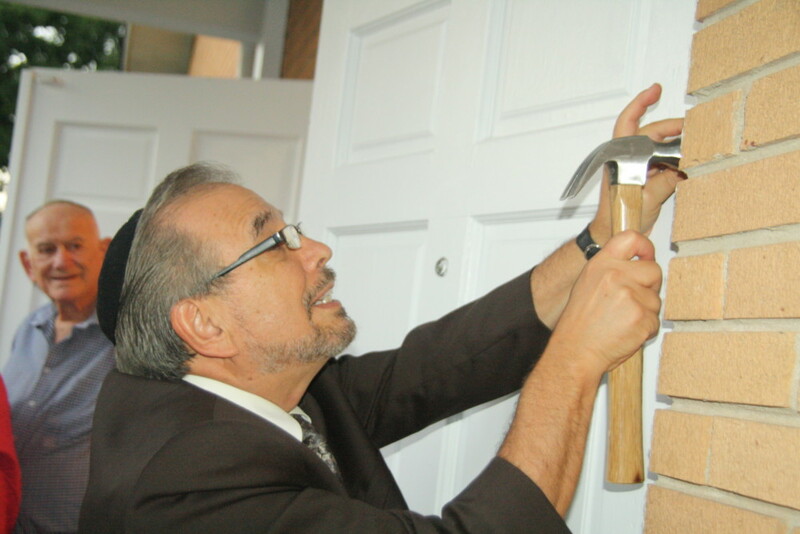 Rabbi Mark Kunis attaches a mezuzah to the new entrance of Shaarei Shamayim. The presidential election has uncovered a loathing among Americans for our current political system, in which the wealthy have more influence and the not-so-wealthy are ignored or worse. Recent Supreme Court rulings that allowed one to make ever-larger political donations have only reinforced this perception. The impact of large political contributions on politicians gives the impression that the difference between large donations and bribes is marginal. If justice or a desired political outcome can be bought, the wealthy and the poor are no longer equal under the law. That’s why average people have detached from our political system, and we have seen the rise of Bernie Sanders and Donald Trump. The Torah (Exodus 23:8) takes an unequivocal stance against bribery: V’shochad lo tikach, “Do not accept a bribe, for the bribe will blind the clear-sighted and subvert the cause of those who are just.” Take note that the Torah isn’t simply concerned with the act of bribery, but how it distorts the perspective of those who receive bribes, privileging the haves over the have-nots. Certainly the revelations of the relationship between the Clinton Foundation and Hillary Clinton as secretary of state are disappointing. To argue otherwise reflects a profound naïveté. I don’t, however, want to focus on the appearance of bribery in politics but rather on Rosh Hashanah, Yom Kippur and the new year and how we should think about bribing G-d — yes, bribing G-d. Listen to this scenario and tell me if it sounds familiar. Moshe is a sinner, and he knows it. 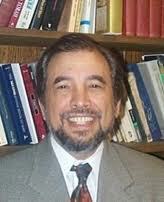 But he thinks his good works — his donations to the shul and worthy causes — will earn him a seat in heaven, as if the great Judge of the Universe will accept his bribe and turn His cheek to all his bad behavior. As Jews, we believe that one day we will have to stand before G-d in heaven and give an accounting of our lives. G-d is the perfect judge and judges with perfect justice. Is it possible then to bribe G-d? The three-times-a-day prayer routine of the Jew teaches us never to give up and never to stop praying for what you want. But what if you could play “let’s make a deal” with G-d and give Him a bribe to speed up the process? Please note that the gift or pledge to charity is really not conditional on G-d answering your prayers in a timely manner. And the gift need not be just money. It can be time and/or effort for a worthy cause. It can be pledging to perform a mitzvah with greater energy and focus, from making your Shabbat more meaningful to visiting the sick. Whatever it is, when you seriously need G-d’s help, it’s a great idea to make a deal with G-d by pledging to do something you feel is significant to draw closer to Him. Rashi on this verse explains that G-d doesn’t accept a bribe of money. One can’t have an ongoing adulterous affair, write a check to the shul and think everything will be fine. Is there a way G-d can be bribed? There’s a great Midrash (Bamidbar Rabbah 11:4) on the third verse of the priestly blessing: Yisa Hashem panav eylecha v’yaseym l’cha shalom (May G-d lift up His face to you and grant you peace). The Midrash has G-d saying: Ani nosey panim, “I will overlook.” Thus, G-d takes bribes in the sense that if people do other good deeds, He will take this into account when judging them. So within the totality of judgment, G-d does accept bribes. An old story tells of a businessman who dies and finds himself on the line where it’s decided whether he gets into heaven. In front of him he sees a man being asked to tell about the good deeds he has done. He lists them, along with how much he has given to charity over the years. After he finishes, the angel in charge tells him to proceed through the gates into heaven. It’s not a joke. Do you want to bribe G-d and find yourself in the Book of Life for the coming year? Come up with receipts. Be overly generous. It’s said, “You can’t take it with you.” That’s true. So ask your family to bury you with your charitable receipts. These kinds of bribes are welcome in heaven. What about in our relationships? If you have a dispute with longtime friends or relatives who have hurt you, are you going to punish them? What about the good memories? What about the wonderful things that have happened over the years between you? Are they not worthy as a bribe? G-d doesn’t accept bribes only from the person being judged. If your father or mother did acts of kindness for others, this is also an acceptable bribe in heaven. So if someone from the family who is close to you — whose immediate family did so much for you — hurts you, accept that as bribe. A judge doesn’t take bribes, but the Torah does not prohibit a litigant from taking a bribe from the other side. How can you be angry at your husband or wife? After all, he/she married you. Remember how the other ones didn’t want you? So the next time you get upset at your spouse, remember how, when life was dark, when you needed help, he/she was there for you. Remember some of the wonderful things he/she did for you and accept that as a bribe. No, we shouldn’t bribe our politicians — not that most of us are in any position to do so. But we can and should bribe G-d with our good deeds to develop and heal our souls. And we should accept bribes from our loved ones to keep us close. And if we do, we have reason to hope we will find ourselves in the Book of Life for the new year.